Fill an old fashioned glass with ice cubes pour in Brockmans, Rosso Vermouth, & Lejay Triple Sec and stir in the glass. Garnish with a thin slice of dehydrated orange. 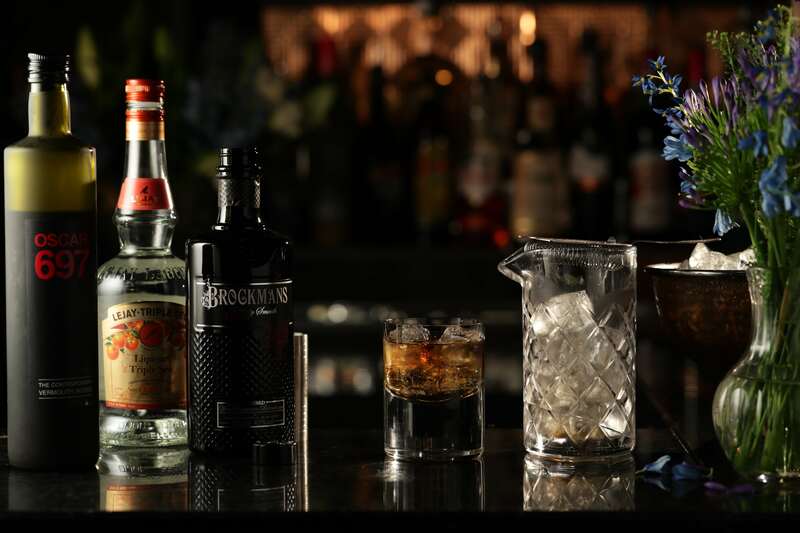 Fill an old fashioned glass with ice cubes pour in Brockmans, Rosso Vermouth, Lejay Triple Sec and stir in the glass. Garnish with a thin slice of dehydrated orange.